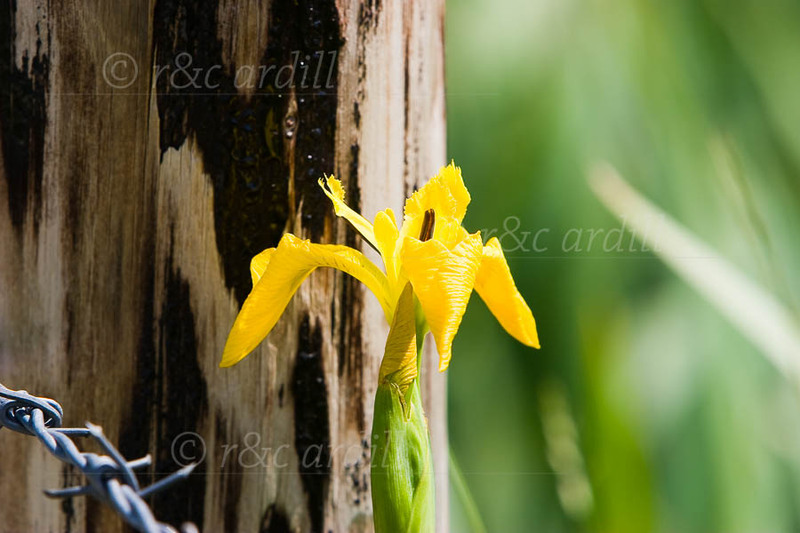 Photo of: Yellow Flag - Iris pseudacorus. Yellow flag are abundant in May along rivers and marshy lands in Ireland. This flower was taken by the River Boyne in County Meath.